Right now you can score this 2-Pack of AmazonBasics Silicone Baking Mats for just $9.32 – that makes each mat just $4.66! 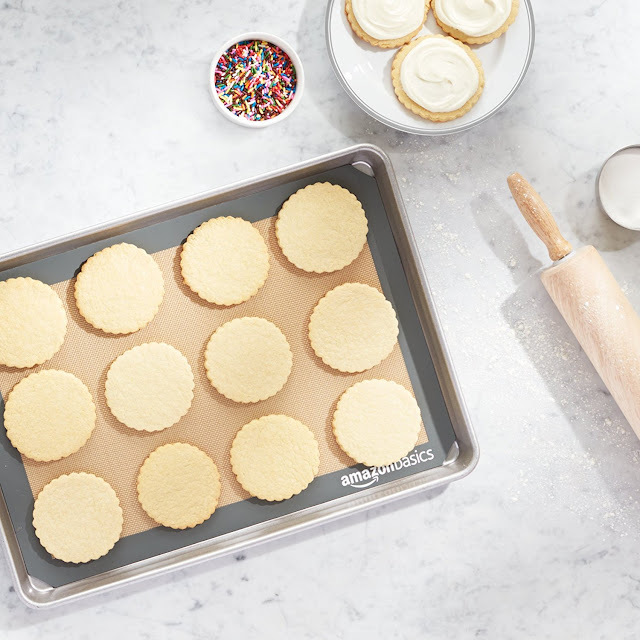 These mats are non-stick for easy and convenient baking so there is no need for oil, cooking sprays, or parchment paper! They are oven-safe up to 480 degrees F, roll up for easy storage and measure at approximately 11.6×16.5 inches.